Driving home from the hangar, heading back into LA from Ventura County. Almost sunset. I’m in the #2 lane, coming up on a car carrier in the #3 lane. No biggie. 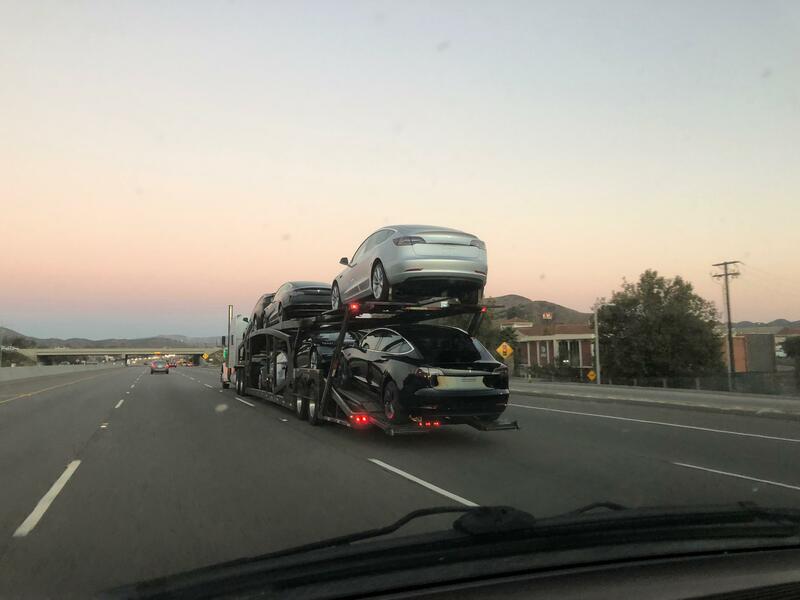 Wait, what kind of car is that, the black one on the bottom? 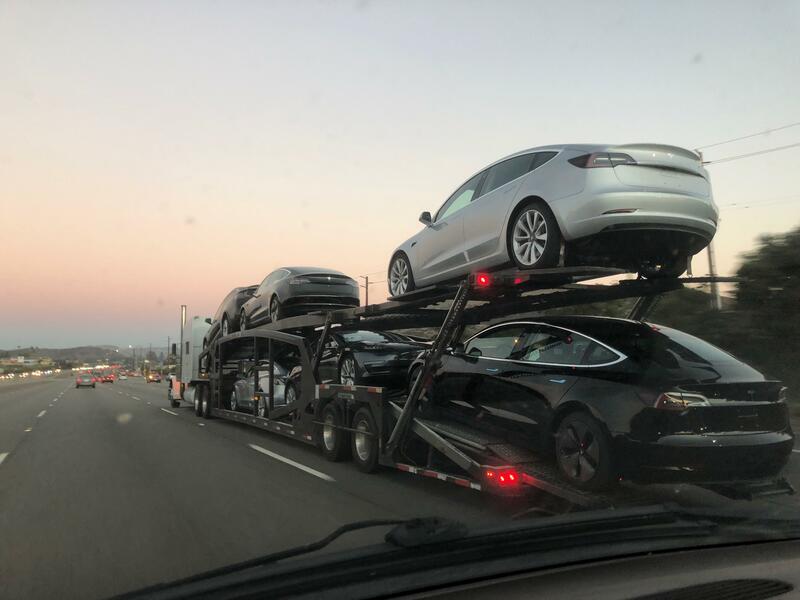 A Tesla? 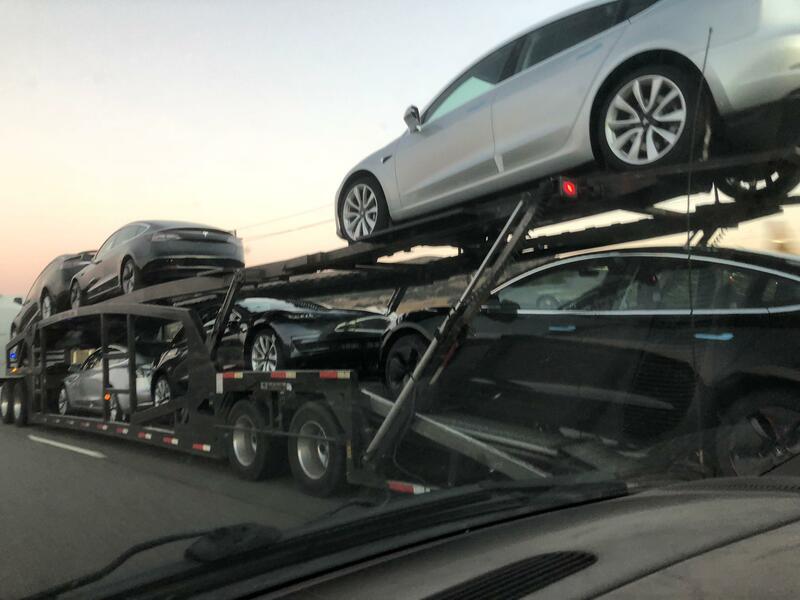 No, not just a Tesla, but one of the brand new Model 3’s I believe? And not just that one I realize! The sliver one on top, also. And the others! Six of them! A half dozen! So, just what is the collective noun for a half dozen brand new Teslas?